Open from 6:30 a.m. - 6:30 p.m.
Developmental programs that reinforce independence, social skills, listening, and motor skills. 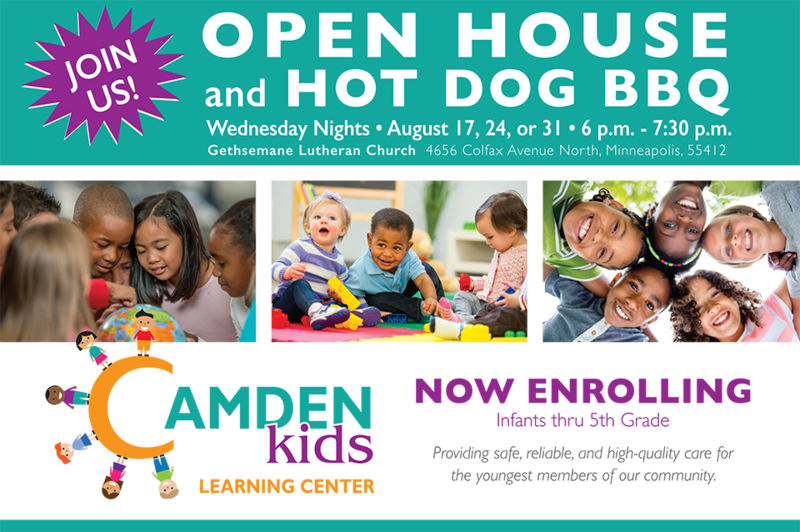 Get to know what Camden Kids Learning Center is all about, what it will look like, and how this service will impact our community and our church. Make a Financial Contribution to Camden Kids! We need your help. Without this arm of our ministry, we will not be able to work toward our mission in the neighborhood. Please consider a financial contribution!